In honor of the release of the Gravity Falls: The Complete Series DVD, I decided it was high time for a ranktrospective on the series as a whole. What exactly IS a ranktrospective I hear you ask? Well it’s sort of like a re-watch combined with a series ranking, essentially I’ve gone back and watched every episode of the series (and also the unaired pilot) and numerically ranked them based on how good they are. I accomplished this feat using mathematically sound ranking tiers and my completely unbiased, objective opinion. A brief explanation of the ranking system: There are 41 total episodes (counting the pilot) in the series, episodes are first assigned a number from 1 to 41 based on where they fall in the overall series ranking, then they are given a tier from 1 (meow-wow) to 5 (donkey spittle). In general a tier 1 episode is a stand out episode, one that you would show off to demonstrate the best a particular show has to offer; 2 is a great episode, 3 is good, 4 is average, and 5 is bad. Typically you want more high tier episodes than low tier but you also need some consistency, if you have 5 tier 1 and 5 tier 5 episodes then your overall season average is still going to be fairly middling overall, speaking of which. Season Rankings: Each tier receives a certain number of points, tier 1 gets 5 points, tier 2 gets 4 and so on til tier 5 which gets 1 point. The number of points per episode are then added together to a sum and divided by the number of total episodes in the season to determine the overall season average, in the case of Gravity Falls this is relatively simple since each season has exactly 20 episodes total. Essentially a season with an average of exactly 5 would mean that every episode in that season is a tier 1 (amazing) episode, of course it’s virtually impossible to maintain a perfect average but the closer the average is to 5 the better the season as a whole. 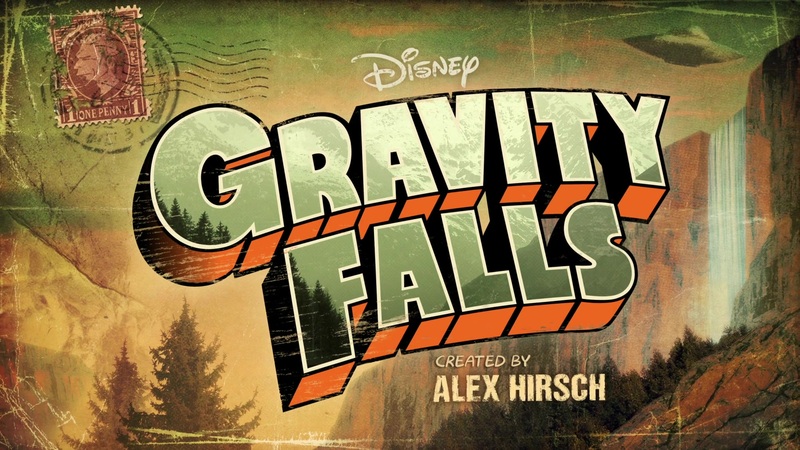 Now for a brief overview on each season and the series as a whole, 3.7/5 may not seem like a particularly high average but actually Gravity Falls has one of the best first seasons I’ve ever had the pleasure of watching. Premier seasons for most western animated series tend to be uneven at best due to a lot of focus on set up, that’s not to say that first seasons are bad throughout but in general there tends to be less of a consistent quality than in later seasons. By comparison, Gravity Falls gets going from the jump, it knows exactly what type of show it is and from the very first episode, and a remarkably strong first episode at that, it churns out good to great episodes at pretty much every turn, it may not have as many highs or as high or highs as, say, Steven Universe (also a great show) but it what it does have is consistency. Season 2 meanwhile is a tale of two seasons, the first half-ish of (up to and including episode 11) could be summed up as “Season 1 but with 50% more plot”. The second half of season two on the other hand could be described as “Season 2 but with 200% more plot and also on speed” and the rather sharp divides hurt the overall quality of what could (and should in my opinion) have been two separate seasons. Of course the end result is still quite good and Season 2 both begins and ends on a string of some of the best episodes of the show. Please feel free to comment and/or disagree with my ranking, and if you’ve never watched the series before now is a great time to start, if this article achieves nothing else I hope it encourages more people to check out one of the best shows this decade.